You will spend 6 months in this busy, quite medical, casualty department. You will work as a middle grade (registrar) but there is always a senior registrar or consultant on the shop floor with you at all times, including nights. There is a clinical decision unit which allows for some continuity of patients. There is weekly A&E teaching as well as primary care A&E teaching. 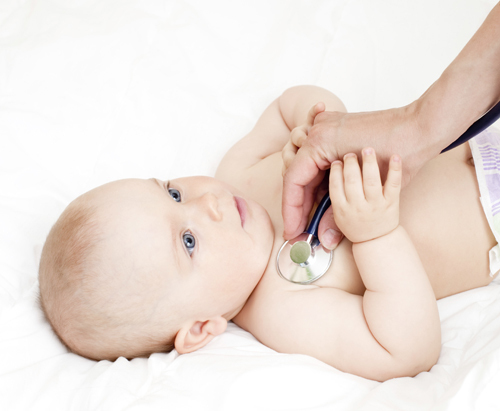 You will spend at least a week in paediatric A&E and lots of time in the urgent care centre (primary care led). Although being a registrar can be daunting, there is lots of extra help around and the experience gained from managing juniors is invaluable. This guide welcomes you to this exciting post and is intended to maximise your learning. It uses guidance from the GMC, RCGP and other formal bodies, and draws on the experience of previous trainees on the scheme. The Curriculum Statement written for vocational training by the RCGP covers much of the material that you will meet in this post. However, we encourage you to explore actively your learning needs, and to use the nMRCGP e-portfolio to record your experiences and learning. You will also be expected to do Part 1 of the RCGP Substance Misuse certificate. This guide contains the information about the Substance misuse and Homelessness post, the supervisory arrangements with relevant contact details. Homeless people and substance misusers carry a high morbidity and tend not to access health care in the usual ways. In this post you will gain insights into the health effects of homelessness and substance misuse, and you will learn how to manage disease and substance misuse in the context of significant adverse psychological and social factors. Your experience will be based in general practice and outreach clinics. Personal study time/admin/self-directed learning or visits to relevant projects. Dr Frances Diffley is a GP at the Villa Street Medical Centre and is your GP trainer and clinical and educational supervisor. In her absence, Dr Julia Hodges or Dr Nancy Kuchemann will provide clinical supervision. Dr Julia Hodges is a GP trainer. Dr Frances Diffley and Dr Nancy Kuchemann provide clinical supervision whilst working at Equinox. This is a voluntary sector in-patient drug and alcohol detoxification unit. Medical cover is provided 24 hours a day by the practice with out-of-hours cover by SELDOC. The ITP doctor will receive induction and training from the responsible doctors and will then be responsible for doing the medical assessment of residents undergoing detoxification including prescribing the appropriate detoxification regime as well as addressing any outstanding medical problems. The ITP doctor will also be involved in writing discharge summaries to the patient’s GP on discharge. The ITP doctor will do 3 - 4 GP sessions in Villa Street Medical Centre under the supervision of Dr Frances Diffley. CDP is a voluntary sector service providing advice to opiate users, shared care support to GPs in north Southwark and opiate substitute prescribing for suitable patients whose own GP will not prescribe. Communication with the patient’s GP about assessment and management is an important aspect of the role. The service includes screening for blood borne viruses and hepatitis B immunisation, counselling and group support to clients. You will do one session with Dr Wrigley at Graham House for the first 3 months of the job. This is a medium stay hostel for vulnerable homeless people, many with alcohol dependency. The hostel is run by the charity Thamesreach and links into many other organisations which provide support to homeless people from those living on the streets to those in long-term supported tenancies. In addition to your weekly timetable, the nMRCGP regulations require you to work one Out of Hours session per month with your clinical supervisor. This will usually take place at the GP cooperative Seldoc. Develop a working understanding of ‘Drug Misuse and Dependence: UK Guidelines on clinical management’ (DH 2007), models of drug dependency, concepts of harm reduction and the role of medicine in treatment. Develop a concept of the Doctor-Patient relationship and its therapeutic value. Types of drug and alcohol used. Establish type of dependency: quantity taken, length of use, objective indicators (urine testing, withdrawal scales), past treatment episodes. Health complications: physical e.g. viral infection, antenatal care in women: mental e.g. depression, risk assessment. Delivery of health promotion/brief intervention: e.g. family planning, harm reduction, O/D education. Social consequences: e.g. relationship difficulties, housing, criminal justice, and vulnerability e.g. age of patient. Establishing suitability for primary care management. Knowledge of local agencies: e.g. for specialist/shared care. Treatment contract e.g. negotiation, boundaries and roles. Regularly r/v D-P goals e.g. methadone maintenance, detoxification. Random urines e.g. 3 mthly. Choice of therapeutic intervention e.g. M-l, relapse prevention, supportive counselling. Triggering factors/high risk situations e.g. relationship breakdown, job loss. Termination of contract if appropriate: MDT discussion, negotiation, and specialist referral. You will sign an employment and educational contract with Dr Frances Diffley. Understand issues around testing and treatment of blood borne viruses including pre-test counselling. Start to manage acute and chronic illness in general practice through practice and telephone consultations, visits, repeat prescribing, referral administration and communicating with outside agencies and hospitals. Use recordings, COTS and CBDs to develop communication skills and start to explore different consultation models and explore the GP curriculum in greater depth. Have DOPs supervised by doctors and nurses. Experience multi-disciplinary working through attending meetings (list of attached). A commitment to working in multi-disciplinary teams. Please inform relevant parties ASAP if you are not able to cover a session because of sick leave. The practice will usually have to organise cover at short notice. Please organise planned leave with as much notice as possible, and a minimum of 4 weeks. If you have any problems that cannot be dealt with by the appropriate GP please discuss with your Programme Director. During the 6 month medical rotation you rotate with the other GPVTS SHO’s to do 2 months Stroke and 4 months General Medicine. It is a great experience working at a very busy hospital with a high throughput of patients. Patient safety is the main priority at St Thomas’ and they have very high standards for patient care. The rota is quite strenuous during the 4 months of general medicine but this enables you to get experience seeing a wide variety of patients and be involved in their management. The stroke job is also intense but the rota is better (2 Saturday afternoon shifts in 2 months, one evening on call a week covering the elderly care unit). The stroke team are very friendly and supportive and there is a chance to appreciate the work and skills of the MDT at getting patients back into the community. You are expected to be working in the TIA clinic on a weekly basis when working in the stroke post. It is a supportive environment - registrars and consultants are very approachable and accessible. I would definitely recommend this post. I have learnt a great deal which I am sure I will use when working in General Practice. Do Prompt SpRs time to time to do bed-side teaching. Get weekly ECH - OP clinics timetables. Be motivated to arrange going to clinics on Study leave days or if ward not busy in afternoon, taking turns for 1 to go to clinic. On day 1: Contact Richard Gurney re password for GP computer and how to use phone directory. Spend at least ½ day getting to know key admin people’s names and numbers for each objective on objectives list, emailed by Ann Lorek. School visit x1 (find out from any SpR which reg allocated to school and then timetable in a visit). Whilst working for Dr Ramsay your day job (ie Monday-Friday 9-5) will be at 190 Kennington Lane, near Oval tube station. You will be attached to the Assessment and Treatment section of the North Lambeth Community Mental Health Team. Your main duties consist of assessing and managing patients (primarily GP referrals) in the community. As well as seeing ‘duty’ patients (emergency referrals etc. ), you will have your own caseload of around ten patients for whom you will be care-coordinator on a longer term basis. The team has a strong multidisciplinary focus, and you will be working alongside social workers, psychologists, occupational therapists and community psychiatric nurses. You need to be flexible about the way you work and pro-active in your learning! This job is very relevant to GP training and provides some very good opportunities. In addition to your day job, you will be on the on-call rotas for St Thomas’ and Lambeth Hospitals. This includes doing an extended day shift until 9pm about once a week, the odd weekend day and between 14 and 21 night shifts throughout the six month placement. The rota is organised by Dr Jonathan Bindman (Jonathan.Bindman@slam.nhs.uk), and he is the person to contact about leave (you also need to get permission from Dr Ramsay). the 2 consultants are Dr Anne Boocock and Dr Nuria Calvo. They both have supportive roles but my main clinical supervisor is Dr Calvo. You will be a touch-typist by the end of the post, the huge amount of computer documentation you do! On-calls are the same - Lambeth and St Thomas'. Depending on your allocation, you will spend 3 months in hospital working in Obstetrics and Gynaecology and the other 3 months in Sexual & Reproductive Health (SRH) and GU medicine. Some of you will be allocated 6 months in SRH & GUM by the Deanery. The DFSRH involves the on line learning modules (which you do in your own time - takes about 15 hours) and in order to register for it you need to print a form off the ffprhc website click here. You send the form off with a cheque for £50, which when you start GP training in September, you could claim it back from your study budget - which we have managed to do. It takes a few weeks to get the access code through for the e-learning modules, so you may want to do that now. When you have done the e-learning modules, Grace Gray will book you onto a course of 5 (5 x1 hr sessions, which they seem to do over 2 morning sessions). This needs to be done before you start on the placement. Then during the placement you need to get your primary trainer and another nominated trainer to do 7 assessments for you (a bit like CEXs and CBDs). I have been in clinic this afternoon and my primary trainer has already managed to sign of 2 for me - so, compared to the old DFSRH, I really do not think you would have a problem completing the DFSRH in 2 months. Annual/study leave is sorted through Dr. Najia Aziz(Najia.Aziz@southwarkpct.nhs.uk ) for SRH and Dr. Helen Williams(Helen.Williams@gstt.nhs.uk ) for GUM. You get 7 days to take in SRH/GUM and 7 days in Obs/gynae and the days you take need to be agreed by both people! Annabel Balcombe(Annabel.Balcombe@gstt.nhs.uk ) sorts out annual/study leave for Obs/gynae. Many qualified GPs take time out of their routine work to obtain this certificate which is a bonus on your CV and allows you to train to insert contraceptive implants/coils etc. It's very practically based and useful for male trainees also as it will give you lots of confidence with contraceptive pill rules/choices/injections/emergency contraception etc. Part of the training is sitting in on clinics and seeing patients, but as you do this as your job you will in effect be paid to complete the diploma, whilst your peers will be on a waiting list to sit in on clinics (unpaid). The rules regarding obtaining the diploma have just changed and there are a few more loop holes to jump through. You will be required to register with the faculty of family planning: http://www.fsrh.org/pdfs/DFSRHTraineePreRegForm.pdf and also be signed off as competent in performing a simple gynaecological exam, taking a smear and have appropriate consultation skills. This can be signed by a GP or a hospital Dr and if you have had FY2 placements in general practice you could ask your last GP trainer to fill the form in, if they felt you had obtained the skills. You will not be allowed to start the diploma until this is done and it may delay you obtaining the diploma during you stint there (if you're only there for 3 months; those there for 6 months need not worry as you have enough time). If you wanted the diploma you would need to go back (unpaid) to complete it. You will also be required to complete some e-modules and then attend a "course of 5" which can be allocated for you now. They get booked up so my advice would be to contactGrace.Gray@southwarkpct.nhs.uk to get you onto one quickly. You will have to pay for the diploma yourself if you wanted it. Grace is a good source of more information on the diploma. (You will be allowed to work for a couple of weeks without being on the list). To organise e-portfolio and e-learning/course of 5 for theoretical part of DFSRH. This needs to be completed in your own time (20 hours of e-learning and a two morning course) prior to you starting the post. Once e-portfolio has been set up, you need complete 3 forms to confirm that you can perform an i.m. injection, speculum examination and bimanual examination, again before you start the post. At the Artesian Centre (Bermondsey) or the Walworth Road Clinic (Elephant and Castle). One of your primary objectives during this post should be to complete your Diploma in Sexual and Reproductive Health (DFSRH). Again initially you sit in with another doctor/nurse specialist. After 2-3 of these sessions, it’s good to start seeing patients yourself and have the senior doctor watch you. Once sitting in your own clinic, discuss each patient with a senior and complete an e-portfolio assessment form towards the DFSRH. Once you have completed the DFSRH you can see patients on your own. Jennifer Dobbie Jennifer.dobbie@gstt.nhs.uk re. honorary contract which needs to be completed prior to starting post. Initially you sit in with another doctor/nurse specialist for 6 sessions before doing clinic yourself. There is always somebody senior to ask for advice and you are given a copy of the clinical guidelines for management of all the common conditions which is useful to refer to. To be proactive try and ask to sit in a syphilis clinic and/or PEP clinic. For queries regarding rota, induction programme and annual leave. Rotation consists of 6 weeks obstetrics and 6 weeks gynaecology. There is a once a week on call with no nights or weekends! In obstetrics, you are on labour ward once a week with sufficient senior cover and spend the rest of the time working in community clinics, the day assessment unit or on the ward. In gynaecology, you are on call in the emergency gynaecology unit once a week and spend a mixture of the rest of your time in clinic, the ward or theatre.